“A Very Murray Christmas” doesn’t fit under any existing label. Neither a TV show or a movie, a variety show or a short film, Netflix’s 55-minute holiday streaming option is its own Christmas special. Of course, that suits its director, co-writer and executive producer just fine. 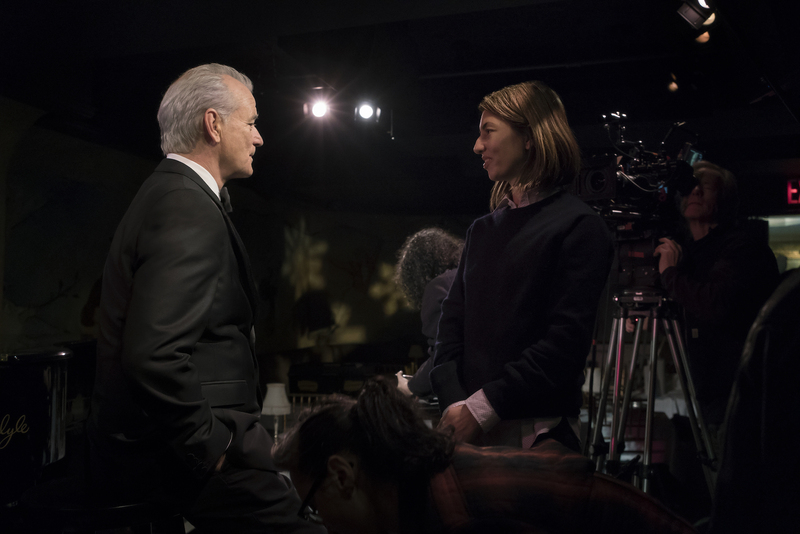 Sofia Coppola has made a career of working outside the boundaries of genre, tapping into a variety of inspirations for her impressive canon of films. Working with Netflix (and in the TV world) for the first time, Coppola has crafted a loving ode to just about every holiday spirit. “A Very Murray Christmas” touches on the joys most commonly associated with the season, but also its attached frustrations and the melancholy many feel when Christmas rolls around. Most of all it’s about Murray himself, as the special playfully comments on his public persona even as he belts out holiday classics with Miley Cyrus, Maya Rudolph and more. Who came up with the idea of this Christmas special, and how did you get involved? Just seeing him sing — you don’t see him as a natural singer, but there’s something magnetic about that performance. Yeah. I love seeing him sing. And especially in a tux. Him in tux singing was my motivation. What was it exactly that was appealing to you about directing a Christmas special, other than Mr. Murray and his allure? He was a draw for me. And at one point we were talking about a Valentine’s special. And then it turned into a holiday special. I associate him with the holidays. He’s so full of joy. He throws a Christmas party every year, and he gets into it. People love him. He brings so much joy, and it’s a time when people can be down. So, it seemed like a nice idea to make something for the holidays, because it’s a tradition that hasn’t been done in a while. As a director, was there anything you wanted to bring to it? Anything that you were excited to frame or create or show in a different way, since you’re talking about these older specials? For me, doing something around music [was a draw]. I’ve never done anything with live musical numbers like that, so to me that was a new challenge. We only had a few days to shoot it, and my brother Roman [Coppola] is really good with multi-cam and live TV. We set it up in a way so that Bill could be spontaneous and improvise and have multiple cameras and capture everything more, like, in a live TV way. I felt like we had freedom. Netflix didn’t ask questions. You can be kind of experimental. It doesn’t really fit in exactly. It’s like a variety show, [but] it’s a little more narrative. I think any time you get people together that are admiring and inspiring– And I guess the holiday theme just helped it focus around that motif, which was fun to do. It’s definitely its own entity. You can see the influences of the old variety shows and Christmas specials, but you also seem to make a pretty big point that you weren’t just going to do something closer to what you set up in the first act, where Murray hosts a Christmas special at a hotel on live TV. I was curious where that structure came from. I think the story was important, especially to Bill and Mitch as writers. Bill came up with this idea of a corny show that goes awry and starts out a mess and then kind of connecting with people in a way you don’t expect, which I think is something sincere. So, that came a lot from Bill and wanting it to have more than just a variety show. And I wanted it to be fun, but not kitschy; to have something that was light and fun. But he’s such a deep person to have to capture. There was a bit of melancholy infused in the special, but it ends on well wishes. Not necessarily the overly-enthusiastic ones that you get during a lot of variety specials, making it a difficult overall tone to pin down. How did you describe it when you were writing it and during production? I love the idea of him being sad and alone at the holidays. He can’t go home. He’s stuck in a blizzard. Then there’s an element of Christmas surprise and magic that we like to think of in the holidays, where he connects with people in a way he didn’t expect. So it ends up fun and joyful in a way you didn’t expect, which I think is the idea of the holidays. Because it’s a holiday special, there’s going to be an annual invitation to revisit this. Did you think about anything to make it timeless in the writing, in the songs or with the guests? We tried to make it feel classic. The Carlyle is a classic New York place. And it was really what mood we were in at the moment and the people we wanted to work with. So, I just hope that people will enjoy it and maybe it will live on or people will visit in the future. Maybe it will inspire other ones. I like to make things that I would want to see and share with my friends and family. It’s definitely something to me that felt kind of like — after you watch it one or two times — you can even turn it on at a holiday party and leave it on as sort of a video soundtrack. Oh, that’s nice. I would be happy if people got together for a holiday get-together and watched it. I hope people enjoy it in that way. How did you go about choosing who sang which songs? Who chose the music? It was a combination. Paul Shaffer helped us a lot because we had so many songs, and Maya Rudolph — I asked her which song she wanted to do, and she picked hers. And then Mitch and Bill had ideas for songs. Mitch suggested the “Pope Song” and Bill had this idea that they weren’t all Christmas songs; [just] songs that fit in the idea of what we were doing, but they weren’t actual holiday songs. He suggested Todd Rundgren’s “I Saw the Light,” and then Phoenix — I asked them to do a song — they found that obscure Beach Boys song that has never been released, and I love the version that they did. So that was a real surprise to have a new Christmas song because you get sick of the same old ones year after year. So, it was really a mix of all these people helping come up with ideas, and then Paul Shaffer really helped shape how to execute them. Was there anyone in the cast that was a hard get, or anyone that you couldn’t get that you really wanted? I just feel like when you say, “Oh, will you come be in Bill’s show?” or when Bill asked them, everyone said, “Yes, when?” Everyone that we had in the show was really enthusiastic to be a part of Bill’s show, and I was really glad that Chris Rock could do it because I’m such a big fan of his and there was a scheduling conflict, but he helped make it work. So it all worked out in the end that we had a cast we were really happy with. Mr. Rock’s number and setup for the ending joke — where he ran out of the hotel — was tremendous. When he does his number with Bill, and then the power goes out and he runs away. That worked for me. Oh good. I’m glad. I just wanted to see them both in matching turtlenecks. It seemed like there were a few nods to Mr. Murray’s personal life — those wonderful stories you hear about him crashing karaoke nights or kickball games. What motivated that part of the framework for this part of the story? I think when Bill was working with Mitch on the script, some of the real [Bill Murray] kind of mixed with this heightened version of Bill, [and] the real Bill came through in the little moments when they were working on dialogue. So, I think that comes from Bill and Mitch — who’s a long time writer/friend of his — in creating what I call “the fantasy version of Bill”; it’s not really him, but there’s a lot of him [in the character], and it’s kind of playing up his diva side in the tuxedo. So, I think it comes a lot from him and Mitch. In a lot of ways, that’s what I got from it. It felt like a slightly fantastical peak inside what Mr. Murray’s day-to-day life might be like. Yeah, I don’t know [what’s] real, but it definitely has a lot of what I know of Bill, and playing the part of Bill, too. 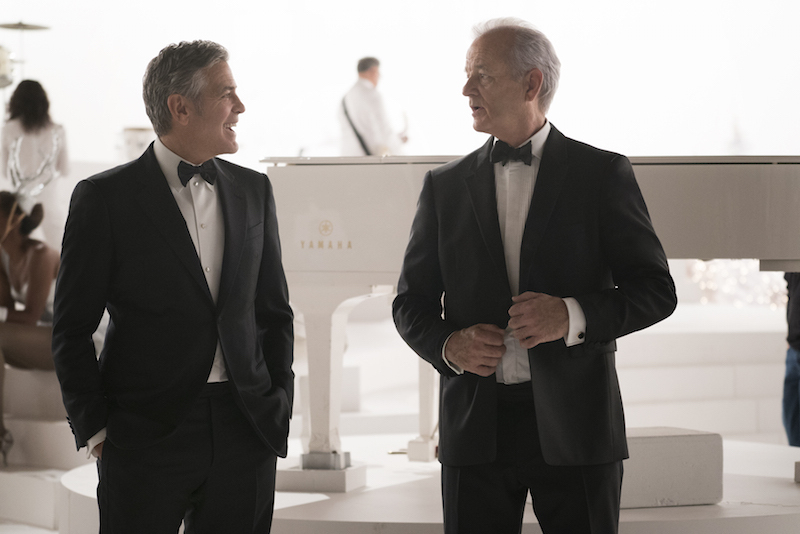 “A Very Murray Christmas” can be streamed now on Netflix.